Thousands more migrants entered Austria over the weekend as European leaders are set to push for a unified response to the crisis, the BBC has reported. Over the weekend, thousands of migrants continued to cross borders in southern and eastern Europe, many hoping to reach Germany and Scandinavia, according to the BBC. Austria welcomed 10,000 people on Saturday and predicted the same for Sunday. Most travelled in from Hungary and Croatia. Budapest is is now rushing to finish a new fence along its Croatian border. 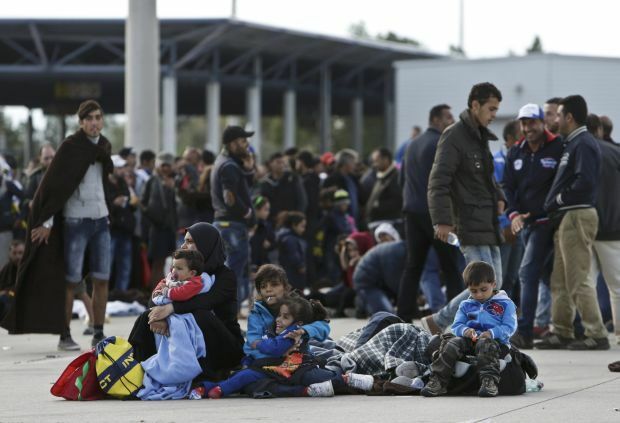 Austrian authorities are expecting more arrivals from Hungary on Monday. Foreign ministers from four eastern European countries are holding talks on the crisis later, kicking off a week of intense diplomatic activity. EU interior ministers are to meet on Tuesday, with leaders convening for an extraordinary summit the following day. The U.S. has meanwhile said it would increase its worldwide intake of refugees from 70,000 in 2015 to 85,000 next year and 100,000 in 2017.